Woking will look to continue their 100% home record against the league new comers Leyton Orient on Saturday afternoon. Woking boss Anthony Limbrick will be hoping his men can reproduce a similar performance to the 2-1 win over Eastleigh in midweek. Woking fans were left delighted with the result from their team on Tuesday night and a win today can see the hosts move up into a play off spot. Jason Banton has returned to full training and should be available for first team selection in the next few days. The extent of Fabio Saraiva’s injury is still unclear from the game against Gateshead on the opening day, and Joey Jones has recovered from a knock – which saw him miss the game against the Spitfires. Striker Inih Effiong has been in great form at home by scoring in both, and goes in search of his third goal of the season. Leyton Orient will be hoping to return to League 2 after a campaign to forget last season. The O’s changed their manager several times, with the likes of Andy Hessenthaler, Alberto Carasin, Andy Edwards, Daniel Webb and Omer Rizza all getting the axe. Orient have brought in many summer signings which include the experienced striker Dave Mooney from Southend, experienced centre back George Elobaki from Colchester, and also a familiar face in Jake Caprice, who made a total of 81 appearances for the Cards over two seasons. Nicky Hunt (Notts County), Tom Parkes (Carlisle) and Jordan Bowery (Crewe), all left the club. Orient sufferered a heavy midweek defeat in the hands of Bromley where they lost 6-1. 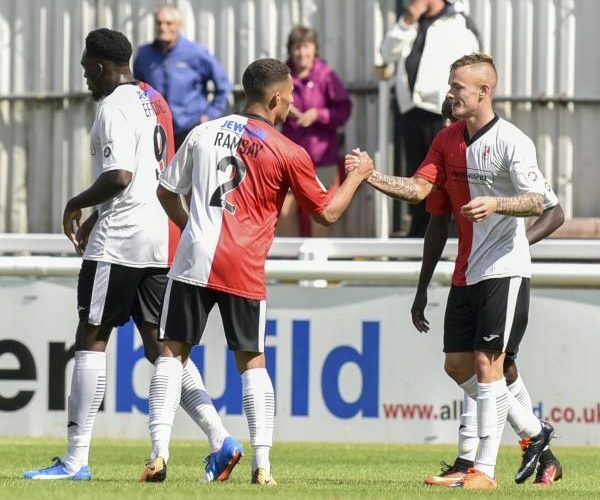 They also lost to Sutton United on the first game of the season before two comfortable back to back home wins against Maidstone (2-0) where Dave Mooney scored and also substitute Romuald Boco added in the last minute. And a 3-1 victory against Solihull where Mooney again found the net and new summer signing Elobaki headed home a free kick to score his first goal .The other was converted by Charlie Lee. The last time Woking met Leyton Orient was in a friendly on 19th July 2016 where the O’s prevailed 2-0 with goals from Dean Cox and Paul McCallum. Tune into Radio Woking to join Andrew Jolly from 2pm for live build-up to the game, with George Baines, reporting with live commentary, beginning from 3pm.